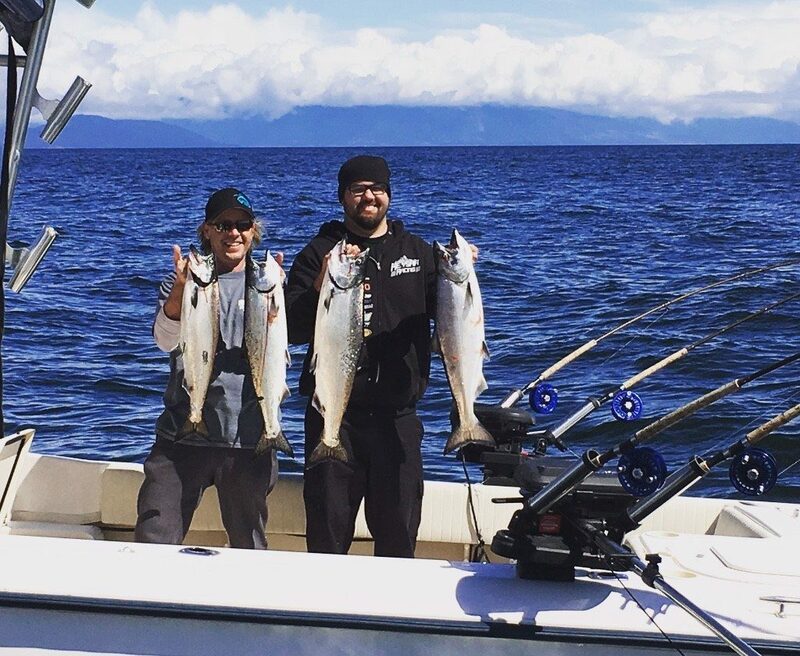 We had some excellent fishing this past week with good numbers of fish at the QA, Hump, and Thrasher. When the winds have allowed we have been over at Thrasher and the fishing has been nothing short of phenomenal. We have had easy limits and hit double digits for hook ups each time we have made it across. 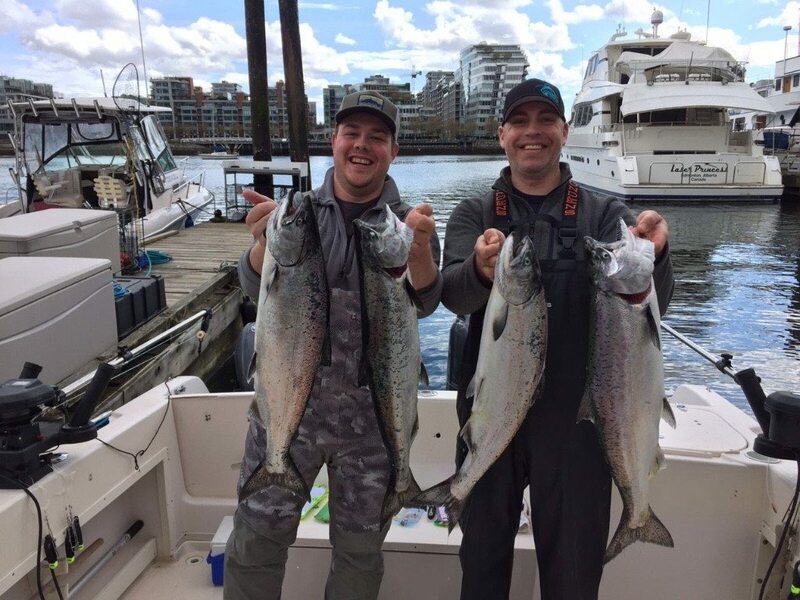 The fish are offshore in 600-1000 feet of water and are definitely in schools as we have had multiple doubles and even a few triples. Depths on the riggers have been 120-150 for the most part although a few have been up around 90 and some as deep as 175. The really hot zone seems to be 127-157 on the riggers. 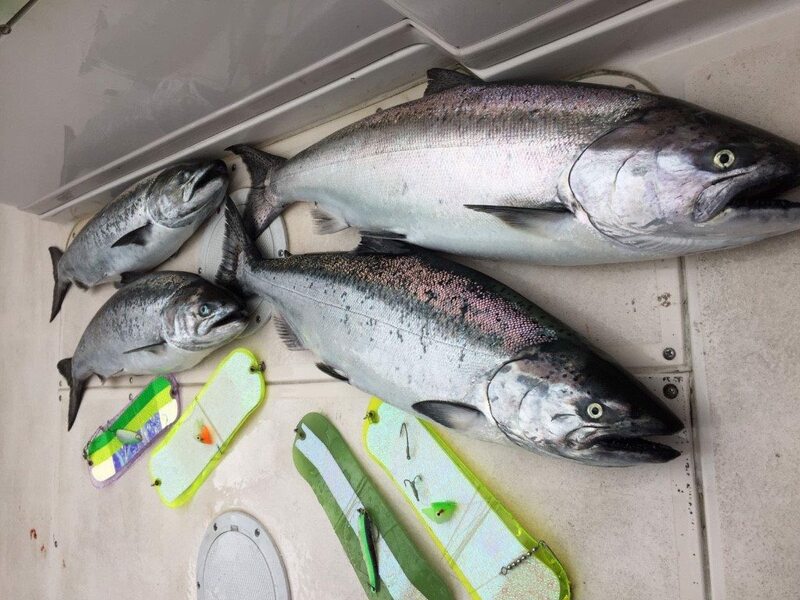 Reports are hot up around Nanaimo and also further south of Thrasher around Porlier, so there seems to be a lot of fish around. There has also been some good fishing off the Hump, Cowan, and the QA marker. The water is a little dirtier on our side so the fish and bait are shallower. Productive depths have been 60-130. Usually 60-90 is hot in the morning and then you will need to go a little deeper as the day progresses. Most of the fish are the usual 6-12 pounders but there is the odd big white spring in the mix as well. Every year we see a few hogs right about now and this year is no different, so make sure you have some fresh leaders on! We have a special section setup in the store right now with all our productive flashers, spoons, hootchies and teaser heads for fishing the Hump and Thrasher. Come down to the shop for expert advice and a selection of the top producers on our guide boats. Crabbing has also been good but not as good as it has been in years past for this time of year. 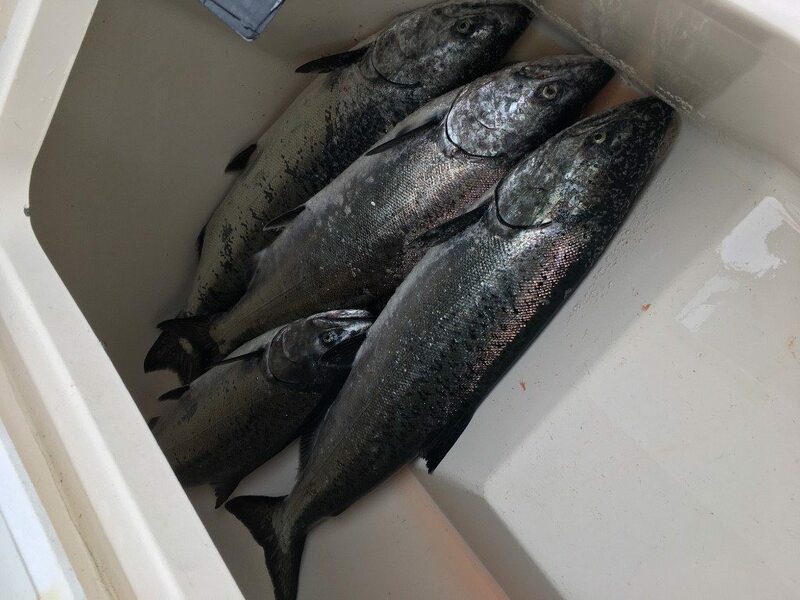 It is still worth dropping traps and the abundance of chinook is making up for the slower crabbing.